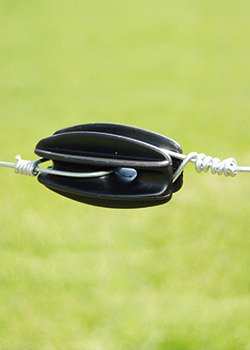 An important part of your electric fence system, insulators are used to fasten electrified wires to your fence posts. An insulator’s job is to allow electricity to continue through the wire without any loss of energy to a post. Made from materials that do not conduct electricity (mainly plastic or porcelain), a good quality, long life insulator is necessary for the performance, efficiency and longevity of your electric fence. If you are using a low impedance fence energizer you will also need insulators that provide excellent arcing protection due to the high energy output of these energizers. 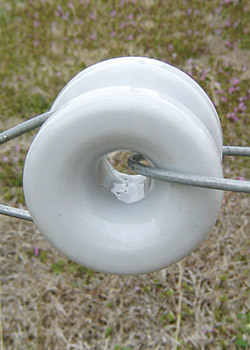 Available in many styles, firstly identify insulators that fit your post type. From these, select the right insulator that works with your selected wire and energizer. Able to be used with low impedance energizers. Developed to complement Patriot’s full range of energizers (all of which are low impedance). Made from quality plastic and porcelain materials that are UV stable and designed for long life. 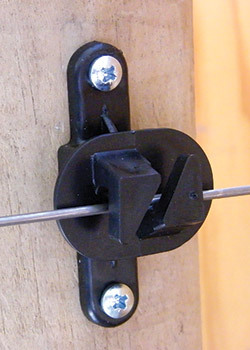 Designed to be easily attached to compatible fence posts. 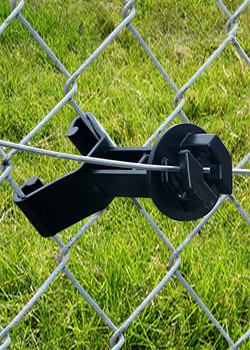 Deliver excellent arcing protection, reducing risk of shorts on the fence. 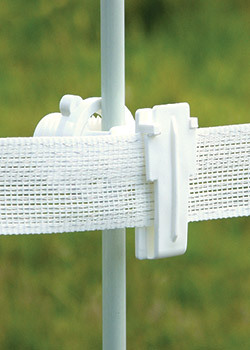 Full range of options to cover most fence post and wire types. 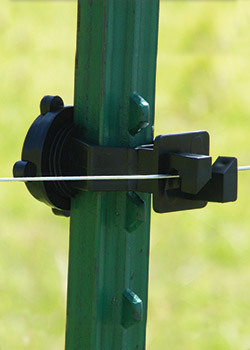 Patriot extender insulators protect existing fences by extending electric fence barrier from existing wires. All Patriot insulators come with a 5 year warranty. Tried and tested to ensure reliability and durability.